» What is Baby Led Weaning, and Why Does it Get a Bad Rap? Have you heard about Baby Led Weaning but just aren’t sure about it? Heard horror stories from friends about being mom-shamed by people who say they aren’t doing Baby Led Weaning right? Just what is the right way to do Baby Led Weaning? Keep reading for details! Baby Led Weaning, or BLW, is essentially skipping the purees and giving your baby developmentally appropriate finger foods. 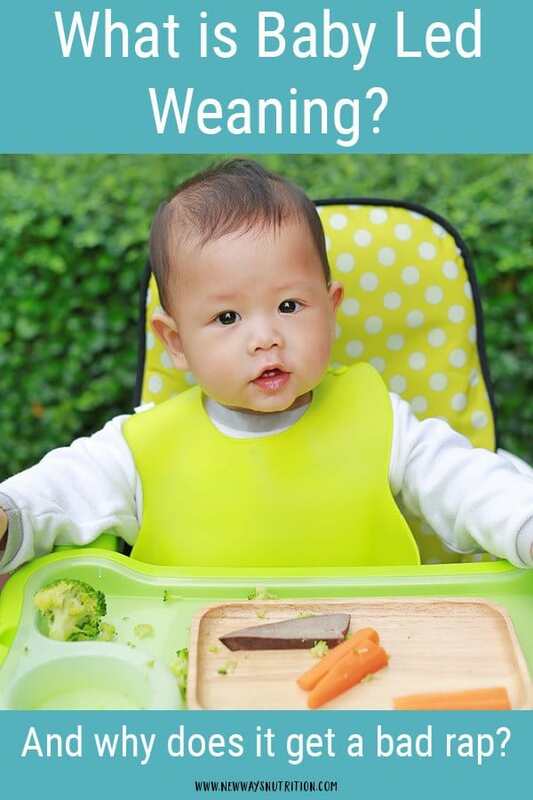 At its core, it encourages parents to let their baby lead with eating. Babies pick up the finger food and put it in their mouth. This usually means parents aren’t tempted to encourage their babies to overeat by trying to get more in with the spoon. At its core, that is all that Baby Led Weaning is. There are a few different ways that people think about baby led weaning. You have those who haven’t really been exposed to it, and who think it is just a fad that parents are doing now. Those people tend to stick with the school of thought that we should give our babies rice cereal to start with and then slowly progress them through the textures. Nothing wrong with this at all, and it likely harkens from when the advice was to feed babies around 4 months. Currently, the advice is to start feeding your baby closer to 6 months, putting finger foods as a completely developmentally appropriate option. And not one that is likely to go away soon. Skipping purees and just feeding soft foods seems much easier to many parents! This is something that if you know me, you know I get on my soapbox about all the time. There are many groups out there on Facebook, and apparently even some other professionals, who have created many “rules” about what baby led weaning is and what it isn’t. Other times I’ve seen people say you must always always always eat exactly what your baby is eating regardless of the situation, and that your family food is perfectly fine for babies. As a dietitian who’s spent quite a bit of time and effort learning about exactly what adults and kids need to thrive, I’d beg to differ in some instances. For some families this works, for others their babies need food that is focused more on their own nutritional needs and not their family’s needs. I’ve also seen people who say if you feed your kids a day before 6 months, then you can’t do BLW. (Scratching my head over here at this one!) 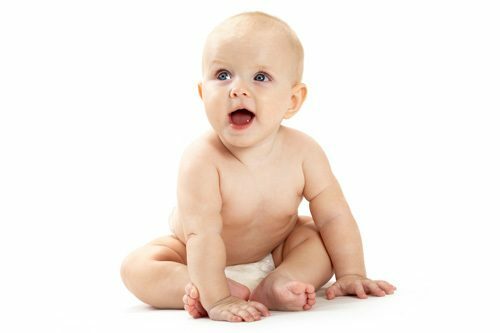 6 months is not a magic day, the best way to know if your baby is ready to start solids is to go by the developmental markers. I could go on and on about the things I’ve seen people saying. But to be honest it makes me pretty upset. This type of thinking puts people into an us vs. them mentality. Everyone is just trying to do their best by their baby. There are very few people who can actually follow all the so-called rules of what some people have made Baby Led Weaning out to be. And there’s no reason for these rules in the first place! They are arbitrary and not backed up by any research, or really any legitimate reasons, to begin with. Baby Led Weaning or Baby Led…? When I first started talking about starting solids with parents, I was less apt to use the term Baby Led Weaning. I didn’t want to be associated with those rules. I tended to use more words like Baby Led Solids and Baby Led Feeding. But then I came to the realization that people are seeking out help on Baby Led Weaning, not Baby Led Feeding. That’s the term that is known. And I want to be the person that those people find who gives them a glimmer of hope. No, you don’t have to do it all or nothing. You can do it exactly how it works best for your family! There are so many unique circumstances for families as they start their babies on food. I want to give them the confidence that they don’t have to do something that they don’t want to do, no matter what that is. There are safety guidelines, yes. Things like making sure the food is soft and smooshable so it’s not a choking hazard. (More advice that flies directly in the face of the rules for some of those facebook groups…yet is research based.) But beyond that I encourage using BLW as a guideline to help you discover what works for you. At the end of the day, I want to help Baby Led Weaning be known for the great tool it can be for parents. One that helps them feed their babies in a way that works for them, while helping to foster their babies innate ability to eat how much they need. So I’m going to keep using the term Baby Led Weaning, even if my idea of Baby Led Weaning is different than what a lot of people have come to think of it as. And I’m going to hope that in the near future my idea of what Baby Led Weaning is is going to become the norm. Let’s take back the term Baby Led Weaning as one that is inclusive and helpful, not judgmental! Is It Safe to Combine Traditional and Baby Led Weaning?